Newark’s $375 million new arena opened Thursday night to thousands of concertgoers greeted by Jersey rockers Bon Jovi and a scrubbed, hopeful city. The Star-Ledger’s Downtown Newark Guide has complete coverage on the opening of the Prudential Center. 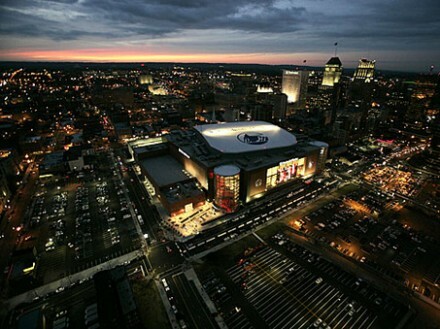 The NHL’s New Jersey Devils play their first game at the new arena on Saturday night. While it’s far easier for a (non-car owning) New Yorker to get the Prudential Center than the Continental Airlines Arena, I’m still not sure how many people will make the trip. I do wish them good luck though. 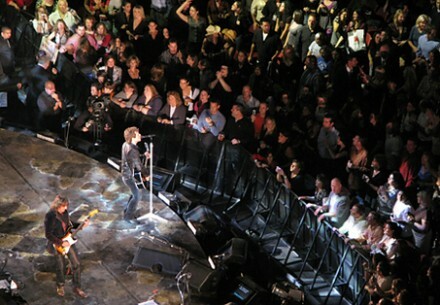 Bon Jovi has nine more nights scheduled at the Prudential Center and according to various media reports they are “mostly sold out” (though i was just able to pull a pair of $303.00 floor seats for tonight’s show on Ticketmaster.com).